Another year has zoomed by. The calendar says it has been twelve months of APLD events, meetings, e-mails, legislative and advocacy watchdogging, another flower and garden show, another conference and so on. These are just the mechanics of the organization. The heart and soul is the more than 90 members that make up the Washington Chapter. They join looking for professional support, growth and development, and APLD works hard to deliver. 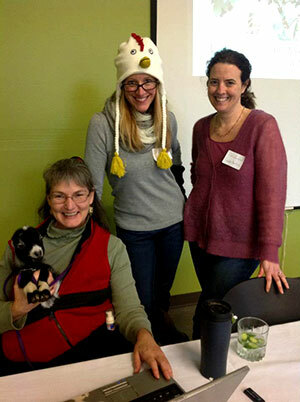 In return, members generously give their time, talents and ideas to support the Chapter. They serve on a committee, volunteer to help with special events, write articles for the newsletter, serve on the Board, or simply attend events. Program Committee Chair, Susan Picquelle, and committee members Mary Kennedy, Allison Wilhelm, Christie Coxley, Mary Kennedy, Susanne O'Trimble, Mary Lou Smith, Vince Mack, and Elaine McEnery create, plan and execute the quality programs and events that serve members with professional education, networking opportunities, a chance to meet vendors and sponsors, and more! 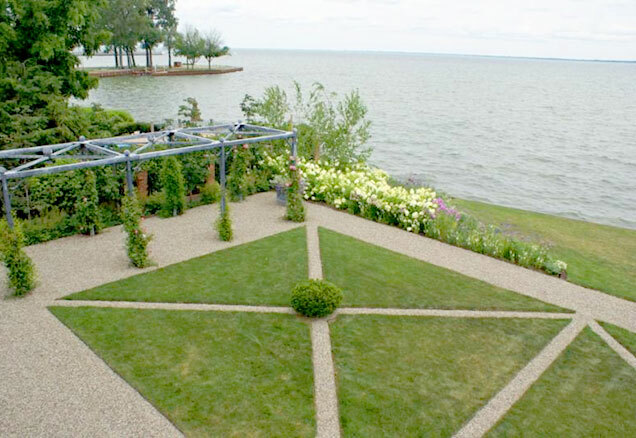 2013 events included wonderful venues, often with garden surrounds, and five-star food. Once again, APLDWA's calendar of programs and events set the standard for APLD National. View the 2014 Program Calendar by clicking here. Events sell out so plan to register early. Mary Lou Smith continues to work behind the scenes of the Membership Committee. Our growing chapter keeps her busy with administrative tasks such as updating membership information on the website; Mary Lou also coordinates and disseminates all communication to the chapter through newsletters and Constant Contact. Allison Wilhelm coordinates APLD's efforts to reach students in the local community college landscape programs to inform them about APLD and invite them to join. Currently, eight students are APLD members; several others have recently graduated and become professional members. Shelley Retchless will chair the committee starting in January. Thank you, Shelley; we know you were looking for a meaningful role after stepping down from the Board. 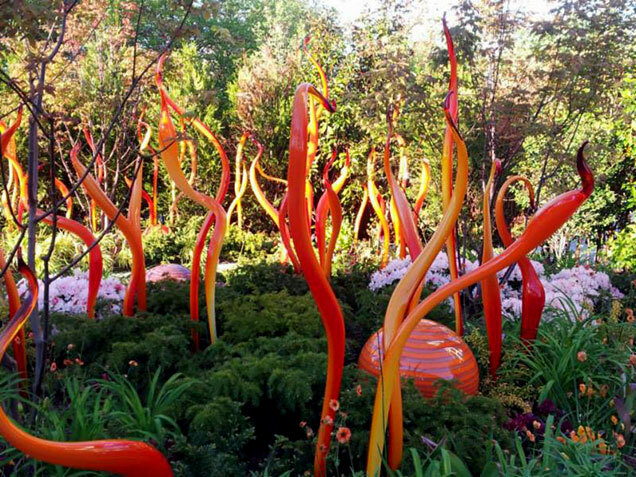 The Northwest Flower & Garden Show is a mid-winter ritual that honors and celebrates the landscape industry. It offers us the opportunity to introduce APLD to show attendees through a display garden and to engage visitors with information about APLD and the benefits of hiring a landscape designer. More than fifty volunteers contributed to the success of last year's garden-members, sponsors, vendors, and three amazing contractors-Jay Nyce and crew, Nyce Gardens; Tom Barrett and crew, Environmental Construction; and Leanne Goulding's installation crew, Everlast Landscape. The garden would have been impossible without them. Thank you all for your generous donations of time, crew, labor, resources, trucks, tools and equipment, construction materials and, of course, humor and good spirit. 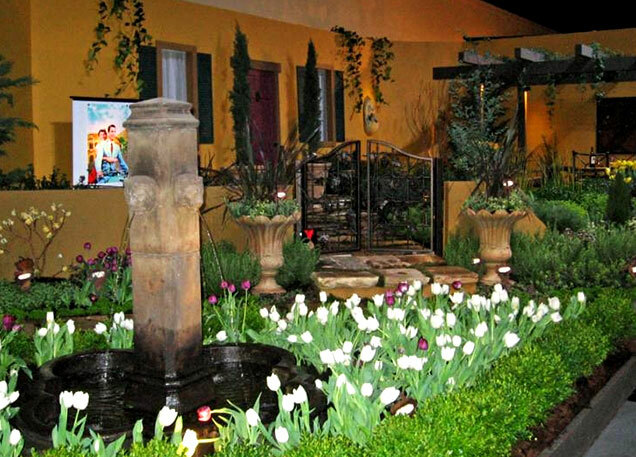 Visit the 2014 Northwest Flower & Garden Show, February 5-9. APLD volunteers are at it again and will present 'ART-itecture for Urban Wildlife', lead design and art contributions by Lisa Bauer, Chartreuse Landscape Design; design support by Susie Thompson, APLD, Susie Landscape Designs and Heidi Skievaski, Sublime Gardens. The Website and Social Media Committee has a new Chair-Jonathan Morse. From his base on Vashon Island he keeps the APLD website updated with news, current events and content so you can stay informed. He manages our Facebook page and other social media forums. APLD's 'new' website is already two years old and due for a remodel. Look for changes and upgrades coming in 2014. Daniel Lowery, APLD, is now Chair of the Sponsorship Committee, which was masterminded by Tina Nyce, FAPLD. Sponsors support APLD by providing venues for programs, educating our members about their products and services, and contributing time and resources to special events such as the Northwest Flower & Garden Show. Their support has expanded APLD's ability to provide quality programs that, in turn, support our sponsors with visibility and recognition to designers and other professionals in the landscape industry. Barbara Lycett, APLD, chairs the Certification Committee. Her commitment and attention to detail make her the perfect mentor for members working their way through the certification process. She will review your projects and documentation, and by the time you're ready to submit your packet you will know you have a quality submission. APLDWA has two members on the National Board. Lisa Port, APLD, National Advocacy Chair and Washington Chapter Chair, continues to lead the advocacy efforts in the legislative and local government arenas to protect our rights to practice as landscape design professionals. This one member benefit alone-making sure your voice is heard-is worth the price of membership. Vanessa Nagel, APLD, chairs the National Education Committee. As always, APLD finished the year with our annual holiday party. 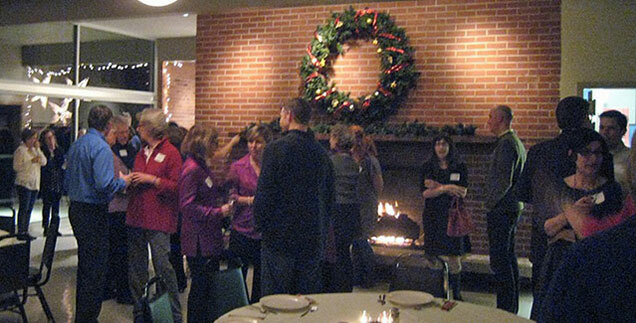 With 45 attendees, we found our holiday cheer to be overflowing, so for the first time ever the event was held at a venue other than a member's home. Thank you to Barbara Lycett, APLD, for offering the Blue Ridge Community Club; we celebrated our wonderful profession, enjoyed good food and company and expanded our landscape libraries with a lively book swap. Lastly, thank you to the Board Members who oversee APLD and ensure it serves its members. A five- year board succession plan is in place that ensures continuity of experienced leadership as well as development of new leadership. Maggie McFeeley served as Member-at-Large in 2013 and will step into the Treasurer's role for 2014. Shelley Retchless served as Treasurer for an unbelievable fourth year and will transition these tasks to Maggie McFeeley before taking a well-deserved break. Hege Watkins served as Secretary for a second year. Leanne Goulding served as President-elect for the last two years, and on January 1 she will be the new APLDWA President for the next two years. Leanne is well prepared and brings a depth of leadership and design talent, as well as work and business experience, to the table. If we missed mentioning anyone please know that APLD thanks every member, volunteer, committee member, and Board member who has contributed time, skills, resources and ideas so APLD can better serve all of us. Susie Thompson, out-going President for APLDWA had this to say, "Like many organizations, the whole of APLD is greater than the sum of its parts. It is the whole APLD organization that I have enjoyed serving as President. It's been an opportunity to leave my fingerprints on the organization that supports us-much like we, as landscape designers, leave our fingerprints in every garden we create. I've been surrounded and supported by talented board members who are generous with their time and members-the heart and soul of APLD-who are appreciative and equally generous. Everyone I've had the privilege to work with and get to know has, in some way, enriched my life and career as a landscape designer. It's been a satisfying journey; thank you for the opportunity to serve you."